Students, faculty, and alumni took the time to discuss what sets the Colleges of Law apart from other law schools. While they all had different reasons to pursue a legal degree, they all felt that the Colleges of Law helped them accomplish something truly remarkable. Whether it’s an alumna who went on to become the District Attorney of Santa Barbara County, or a student who wants to find ways to help those with mental illness navigate the legal system, our community is dedicated to making a difference in California, and indeed the world. A J.D. student at the Colleges of Law, Sheri Valley is driven to help others who may be struggling with mental health. Those who suffer from mental health conditions are likely to find it difficult to navigate the criminal justice system. As a result, jails and prisons have seen an increase in the number of individuals with mental illness. After completing her degree and passing the bar, Sheri hopes to work for the Public Defender’s Office. Joyce Dudley is the District Attorney for Santa Barbara, Calif. and a graduate of the Colleges of Law’s J.D. program. While she attended COL, she faced the challenge of working part time and raising four children. She admires her classmates for their determination and willingness to collaborate. Joyce says, “Everybody realized if we work together, we’re going to graduate and pass the bar. And we did.” In addition to her duties as the District Attorney, Joyce is working with prosecutors across the country in major cities to confront the growing problem of gun violence. Craig Smith is a law professor at the Colleges of Law. Like all of the faculty at COL, Craig is a practitioner in the legal field and has been for nearly forty years. After graduating from UC Hastings College of Law, Craig worked for several years as the Deputy District Attorney. He has also worked as a Superior Court Commissioner, a Deputy County Counsel, and as a judicial research attorney. As the Executive Director of the Colleges of Law, Dr. Nehmer discusses the importance of providing a legal education accessible and rooted in excellence. The faculty at the Colleges of Law are practicing attorneys, judges, and elected officials. 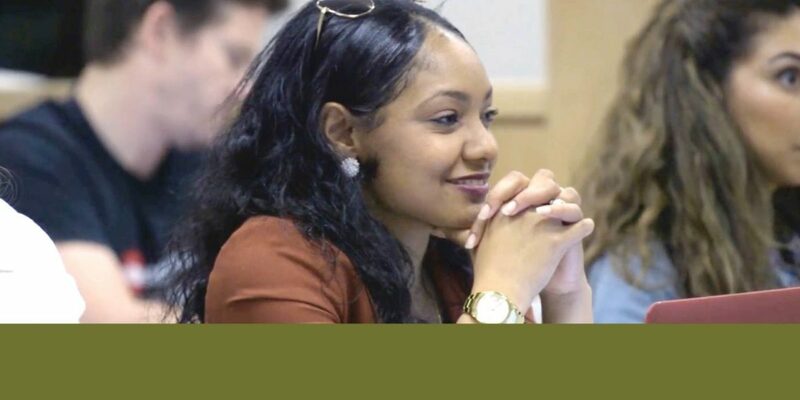 From the first day of class, students will have access to these legal professionals, building lasting relationships that will help lead to a successful career in the legal profession.